Now available in two sizes – a 1″ size suitable for most small to medium size dogs, and a large 2″ size suitable for very large dogs and to be used as ornaments or keychains. Petrified Forest is a pet-friendly park! 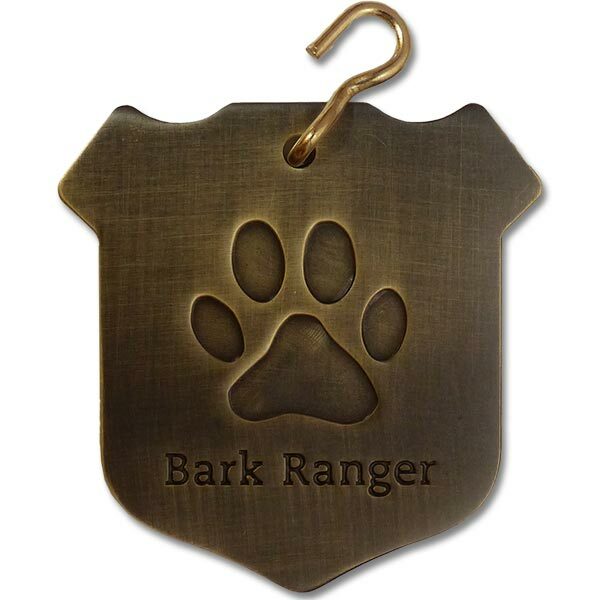 We are proud to offer our own custom Bark Ranger Dog Collar tag available here. 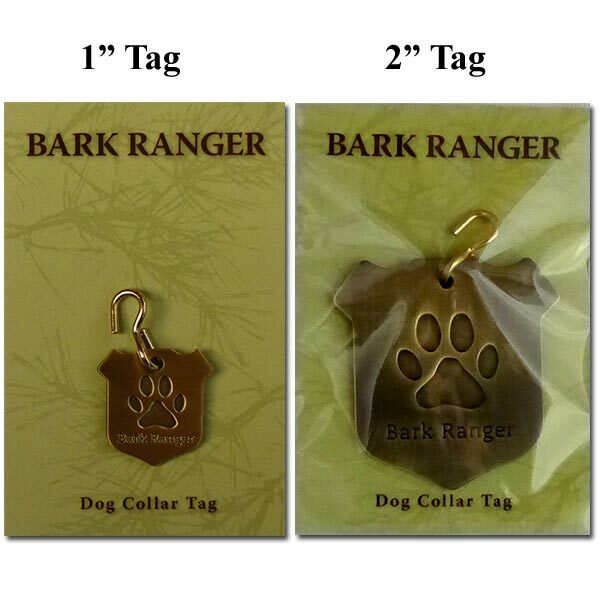 Please note that the large tags are suited for medium to large dogs only! 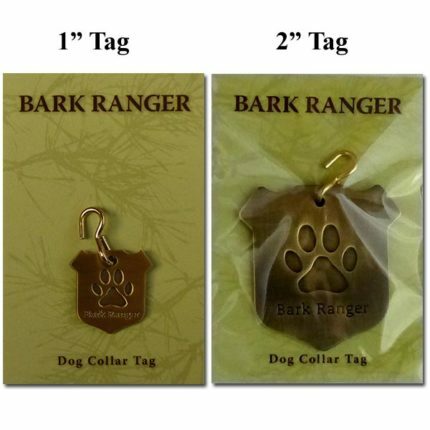 These tags are 2″ high by 2″ wide at the longest dimensions. 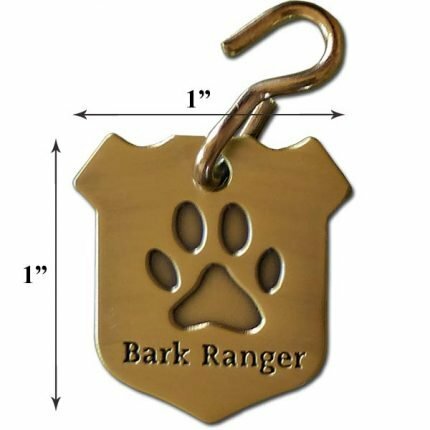 But don’t limit these tags to your favorite four-legged friend’s collar. They also make great keychain tags and Christmas ornaments. Antique-gold finished metal. Designed and finished in the U.S.A.
Small – 1", Large – 2"